Construction - Canam Group Inc.
Canam Group also offers its customers erection services for structural steel components for commercial, industrial and public infrastructure projects. 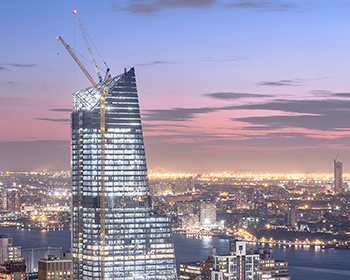 Drawing on the expertise of skilled partners and using cutting-edge equipment, the Corporation offers turnkey services ranging from manufacturing to erection, including construction site supervision. The safety management system implemented by Canam Group and its partners meets the highest standards in health and safety. Building employee commitment and taking the measures necessary to create a safe, healthy and clean work environment are at the heart of Canam Group’s values. St. Lawrence Erectors, a Canam Group subsidiary, has over 30 years of experience in the erection of structural steel. Its activities include the execution of building commercial and industrial projects, bridges, wind farms, structural and architectural projects and precast concrete projects. Founded in 1995, Stonebridge is a subsidiary of Canam Group with a strong reputation as a constructor of complex steel structures in the New York area. Its extensive experience in construction and engineering is particularly sought after for projects such as sports facilities, commercial and industrial buildings, educational and healthcare facilities. 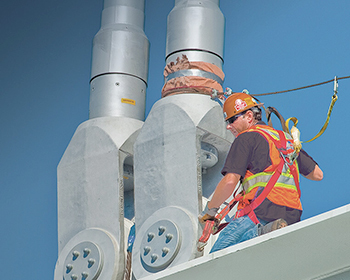 In 2014, Canam Group decided to expand its range of services by creating internal teams to offer erection services for structures and other steel products. This decision led to the incorporation of Central Steel Erectors LP, a company that carries out erection activities in Canada. 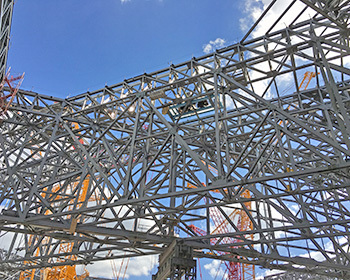 In 2015, Canam Group incorporated Central Erectors, LLC, a company that carries out erection activities for steel products. These products, which are primarily manufactured and marketed by the groups of products and services offered by Canam Group, are destined for projects in the United States.